"Ke Kinu'tmui Ta'n Teli L'nui'simk, Kiju." Copyright � Patsy Paul-Martin 2001-2002. Used with permission. 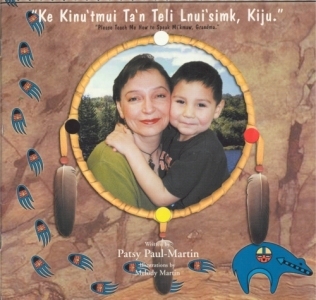 Written and Narrated by Patsy Paul-Martin, Illustrations by Melody Martin. Originally Published by Eastern Woodland Publishing, Truro, NS.